When you think about it, baseball can be broken down into two major components, hitting and fielding. You can’t win a game if you can’t put runs up on the scoreboard, so let’s take a look at some of the common mechanics of a good baseball swing. The first element of a good swing is “the step.” The step is used to help time your swing to make contact with the ball. One thing to note, you need to take your step with a purpose. With that being said, your step must be towards the ball. As soon as the pitcher releases the ball, you must start tracking it and do your best to anticipate where it is going to cross home plate. For example, if the ball is thrown to the outside part of the plate, you want the ball to get deeper towards home plate so you can drive the ball to the opposite side of the field. Unless you are as strong as Giancarlo Stanton or Aaron Judge, it will be hard for you to make solid contact by trying to pull that ball. The next element is the swing itself. There are two parts to the swing. The first part is to throw the knob of your bat at the ball which will allow you to get the barrel into the strike zone at contact. The second part is to Rotate your hips and backside will follow or pivot, with your back foot which will give you added power. 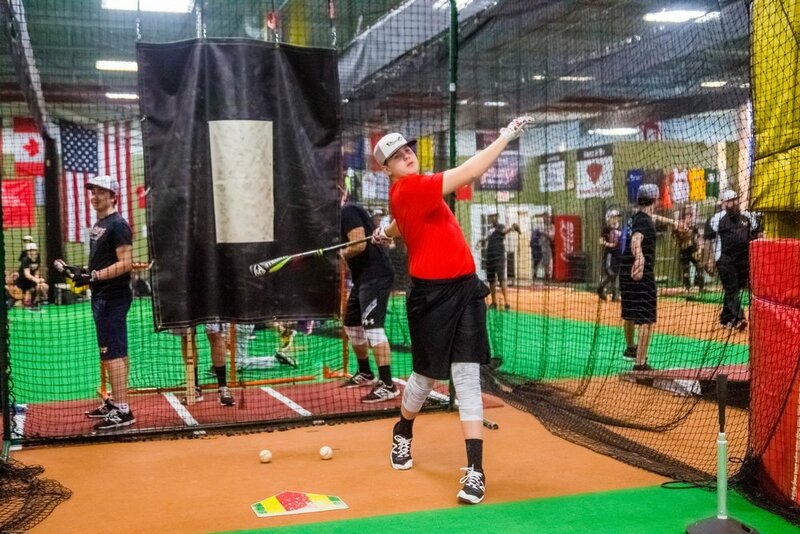 When you get your hips turning towards the field, you are giving yourself the best chance at making solid contact by generating the most power. The ultimate goal when stepping up to the plate is to make solid contact or what we call “Barreling Up”. 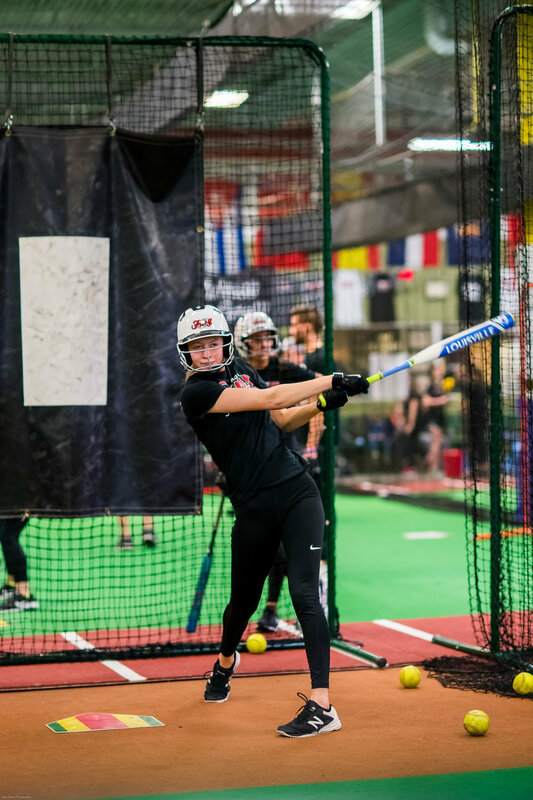 So to help give yourself the best chance of hitting the ball out of the park, once you’ve made contact with the ball, you need to follow through and finish your swing. You will know that you’ve completed your swing once the bat is over your shoulder covering your name on the back of your jersey. This step can be the difference between an easy flyout to center field or a windshield shattering home run! Repetition is the key to success when it comes to perfecting your swing. Your goal is to make these steps muscle memory so that you only have to focus on keeping your eyes on the ball. You can start practicing by swinging your bat 20 to 50 times a day. But make sure you don’t tire yourself out because once you start getting tired, you will start getting lazy with your swing and you don’t want your lazy swing to become a habit. So only practice your swing if you know that you can still give it 100%. Aside from these mechanics, whenever you step up to the plate, you want to have a “hitter’s” mindset. This means that you should be aggressive and look for your pitch to hit. Walk up to the plate with confidence and get ready to send the ball flying! Yes Yes Yes Yes No Approach. What does that mean? That means that every pitch I see, I believe I am going to swing at and crush, so I am ready and not late. The only NO is if it is a Ball then I stop my swing immediately. We want to be on time. If we think the other way, No No No No Yes then we will have a tendency to be late on almost everything. The best way to build your skills is with Game On 13 - learn more about our services and private training by contacting us today. Fury and N.E. Pride to Join Forces in an Effort to create 1 Comprehensive home for Westchester Baseball from ages 15-18.